BRAMPTON, ON — Last weekend, the Brampton Beast played on Saturday in Reading, Pennsylvania, returning on Sunday to the friendly confines of the Powerade Centre to host the Adirondack Thunder. The Beast were coming off a 5-3 victory over the Kalamazoo Wings, only their second win in the previous six games. The Beast have struggled with their roster missing key players recalled by the Laval Rocket and Belleville Senators. On Saturday, the Beast ran into strong goaltending as they played the Royals. 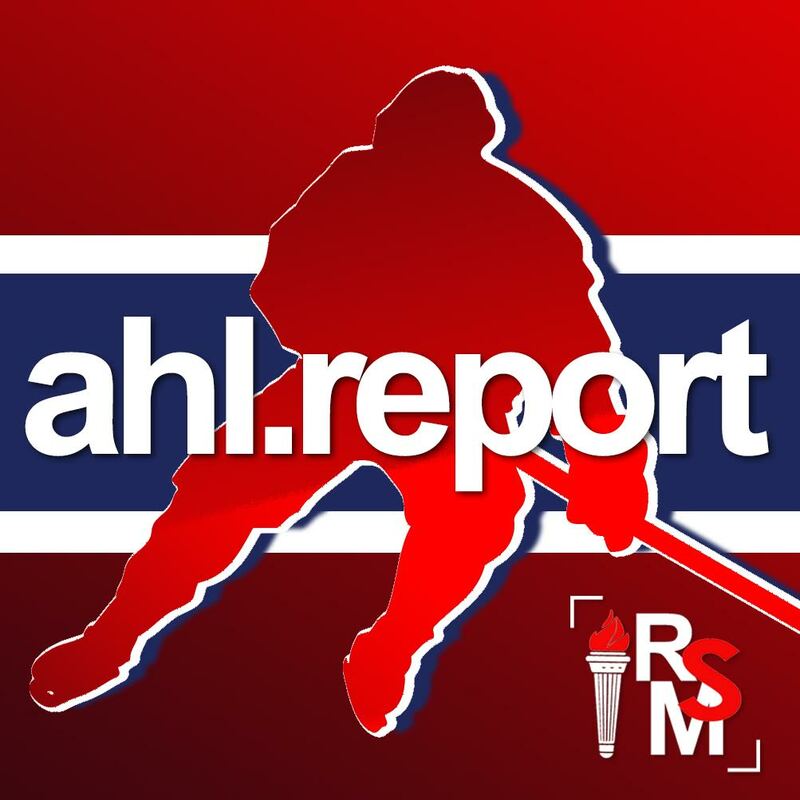 Anthony Stolarz, on a rehab stint in the ECHL, made 32 saves in a 5-1 victory for Reading and was selected as the game’s third star. A less than inspiring performance from the Beast all but dashed any playoff aspirations for Brampton. On Sunday, back at home, the Beast hosted the Adirondack Thunder sporting 4-4-0-1 record against their division rival. After 40 minutes, the Thunder held a slim 2-1 lead with a 22-20 advantage in shots on goal. Brampton again was held off the scoresheet on the power-play, a problem that has hounded them all season. The third period saw the teams trade goals and despite a feverish finish, the Beast fell 3-2 to the Thunder. Forward Brandon MacLean tried in vain to rally the Beast in the third period with a spirited fight and a goal, but it wasn’t meant to be. The Beast sit in the basement of the North Division with a 24-30-6-4 record. With 58 points, there will be no playoffs this season for Brampton. The Beast have just eight games remaining in the 2017-’18 campaign with players trying to secure roster spots for next year. Brandon Marino continues to lead the Beast in scoring as he is one of only a few regulars that has not spent time in the AHL this season. Marino has suited up for 63 games this year collecting 53 points including 37 points. Goaltender Chris Driedger needs one more victory this season to tie for the lead in wins for Beast goaltenders. 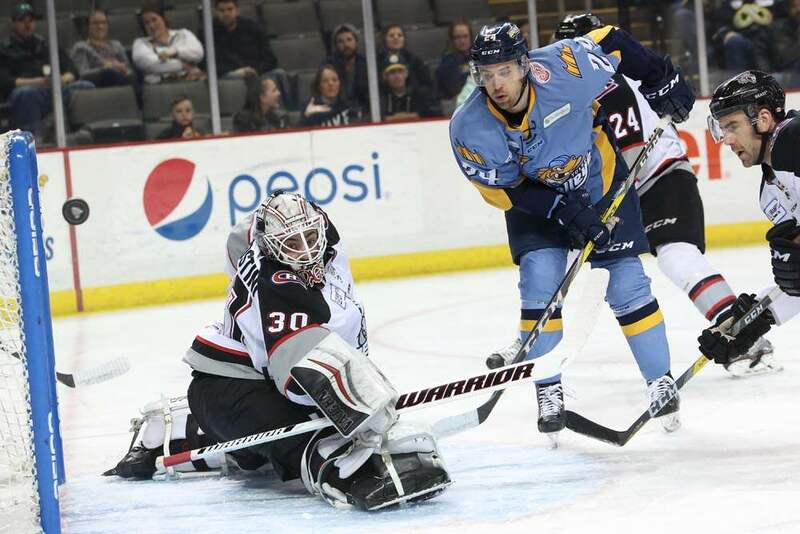 Brampton heads back on the road to face the Wheeling Nailers and Toledo Walleye this weekend. It will be a monumental challenge for Brampton as both teams are primed for the Turner Cup Playoffs. To complete the three games in three days, the Beast will return home on Sunday to face the Indy Fuel.